The outgoing Australian of the Year, social entrepreneur and philanthropist, Simon McKeon takes a look back at his extraordinary year of engagement with the Not for Profit sector on the eve of Australia Day 2012. Plus he adds a few predictions for the coming year including an opportunity to downsize the number of Australian NFPs. I have had a most remarkable (and exhausting!) year as the 2011 Australian of the Year. In particular, I have tried to accept as many invitations as possible from organisations located right across Australia, from Gladstone to Geelong, from Uluru to Echuca, from Adelaide to Young. And one of the wonderful experiences for me has been seeing, first hand, the extraordinary breadth and depth of the community sector in this country and some of the millions of Australians who support and nurture the sector and, in particular, who are obviously key to our strong ranking in the World Giving Index. Interestingly, the US has replaced Australia in first place in the latest rankings. I suspect one of the reasons is the leadership exhibited by many of the ultra rich in the US in relation to philanthropy. Not only is their pledging providing hope and transforming lives in the US, but it also, I believe, inspires other Americans to do their bit. It’ll be a fabulous era for Australia when some of our billionaires (and we have 35 of them today) do themselves a favour by following suit. 2011 has been a very important year for the Not for Profit sector. Earlier this year, the Federal Government announced that a new central agency would be established to be a “one stop shop” for the charitable sector. Hopefully, there will be no longer any need for charities to have multiple contacts with the likes of ASIC, the ATO and other State and Government agencies for which the charitable sector is only a small focus. The establishment of the Australian Charities and Not For Profits Commission follows much advocacy over many years. 2012 will be a very important year as Susan Pascoe and her team start to put flesh on the bone. The Commission will have an incredibly important role including, I believe, the important task of sensitively and intelligently providing the right environment for enhancing the effectiveness of the sector including downsizing the number of Not for Profit organisations. Because we have too many! Some are past their prime, lack critical mass, have expense ratios that are unjustifiable etc. etc. It is important that many of these organisations are encouraged to be consolidated into the operations of others or, quite simply, closed. 2011 was a very important year for the disability sector, especially with the Productivity Commission report and its recommendations concerning a National Disability Insurance Scheme receiving bipartisan support from the Federal Government and Opposition as well as most of the States and Territories. But there is a huge amount of work still to be done before the NDIS becomes a reality. The good news is that this work is happening. But I think 2012 will be a year where some difficult choices will have to be made as to the shape and direction of the NDIS. Not all of us will get what we want. And I think, realistically, it will be continually important to remind ourselves that the whole process needs to be kept moving forward because the worst thing that could happen is for too many “die in the ditch” statements to be made about particular issues. And one of the many critical challenges that arise out of the NDIS is the fact that we are going to need our educational institutions to be gearing up and providing courses which can produce many more accredited people who can work with people with disabilities. In the middle of the year, the Foreign Minister, Kevin Rudd, agreed to most of the recommendations arising out of the Review into Australia’s Foreign Aid Program. This was an important review because it comes at a time when Australia’s foreign aid budget is in the process of increasing strongly and it is critical that an organisation such as AusAID is well equipped as its workload expands. The good news was that AusAID was reviewed favourable but will be clearly needing to increase its capability as its funding increases. By the same token, the Not for Profit foreign aid sector will also need to continue to grow in size and competency so as to be able to work in partnership with AusAID and play its part in responsibly and effectively investing the increased funds. From my perspective, it was pleasing to note that one of the Review’s emphases was on the importance of involving Australian business more in our foreign aid program. Indeed, we need more and more cooperation between the three great sectors, Government, Business and the NFP sector when it comes to the effective dispensing of foreign aid. Australia has many challenges as we look ahead. I suspect that our minerals, energy and agricultural industries will continue to prosper as our world inexorably grows towards a population of 10 billion and the things that these industries produce remain in strong demand. This prosperity will, however, continue to promote a two speed economy and inevitably there will be winners and losers. It is forecast by some that even as our economy grows, so too will unemployment as traditional forms of employment, vulnerable to a high $A, are threatened. In such an era, it’s obviously critical that our community sector can creatively and intelligently provide ways to arouse the interest of those enjoying the fruits of a strong economy to do their bit to provide hope and opportunity for those that are doing it tough. And part of this will involve spreading with new enthusiasm that special feeling of fulfilment and relevance which one experiences from giving and volunteering. It is an entirely different experience to the one which comes from enjoying success in business or, for example, on the sporting field or in the arts. But when, on an entirely voluntary basis, we give and transform the lives of those with which we’ve had no prior relationship – we do receive something special. 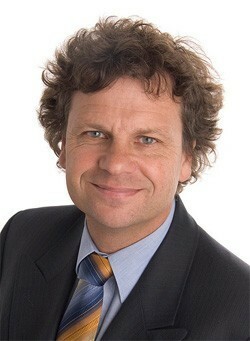 Simon McKeon is currently Chairman of the CSIRO and Business for Millennium Development, which encourages business to engage with the developing world. He is an investment banker and has a part time role as Executive Chairman of Macquarie Group’s Melbourne office. He was the Founding Chairman of MS Research Australia and Founding President of the Federal Government’s Takeover Panel. His long association with World Vision International continues and he is involved with the Global Poverty Project and Red Dust Role Models, which works with remote Indigenous communities. Want Pro Bono Australia News straight to your inbox? Subscribe now – it's free!